If you’re looking for Acura parts online, you don’t want to settle with just any car parts. The Acura parts score at Fisher Acura near Arvada has a full lineup of Acura OEM parts for sale. Unlike aftermarket imitations, genuine Acura OEM parts have been designed, manufactured, and tested by Acura, and they come backed by generous Acura warranty coverage. Stop by our parts department today in Boulder, or order Acura parts online. Get Your Acura Parts and Accessories Near Golden Today! 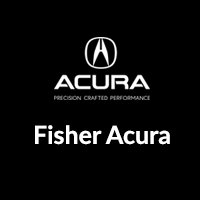 You can always count on the Fisher Acura parts department for a full lineup of Acura parts and Acura accessories. And if you would like to have us install your parts for you, the certified Acura technicians in our Acura service center will be happy to do so. Our dealership is located near Frederick, and our sales, service, and parts departments are open Monday through Saturday in Boulder. Got questions? GIve our parts department a call at (303) 998-6250.